"Mummy why are we packing?" Teye asked. "The day after tomorrow, we will be leaving for the mainland." I said, folding the clothes into a basket. "but mummy our school is on the Island." Mfon said. "yes I know. no more questions, let's start packing. you both should gather all your clothes, a truck will be here to start packing." "mommy we are tired." Mfon said weakly, giving a childish attitude. "me too mummy." Teye said. "Let's all rest a bit." "Baby." He called out huskily. I didn't turn, I sat comfortably on my car seat and fastened the seat belt. "please wait! Ekom I beg you, just listen to me." suddenly I looked up, our eyes connecting. 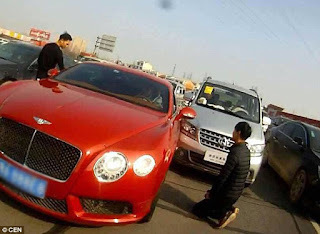 He was right in front of the car, kneeling down. parents who came to drop their kids stood to watch, passers by stood to watch. "Just listen to me baby please." He lifted his hand waving at me, but I didn't return the gesture. "look at me Ekom, just look at me." He yelled in a baritone voice." I was surprise he couldn't feel the weight of my angry stare, he was still there, not afraid. But I started the car immediately and zoomed off speedily. I wasn't sure if he drove after me, but I drove straight to Surulere, where I rented my new house.